Trust is a key factor when selecting a locksmith for your home. 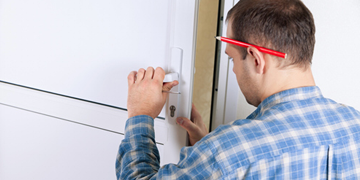 Spruce Grove 24/7 Locksmith has extensive experience in the residential locksmith industry. Our professionals will take care of all your home security needs efficiently with our top-notch solutions. Our technicians are known for delivering excellent workmanship and prompt response. We make sure to utilize only quality parts for every locksmithing job. We understand that unexpected things can happen anytime. Losing home keys, or locking yourself out, or even worse a break-in, these all are emergency locksmith circumstances that require emergency residential locksmith. Our locksmiths offer 24 hours a day and 7 days a week service, so feel free to call them anytime – midday or midnight. Spruce Grove 24/7 Locksmith is an experienced residential locksmith who you can rely on for all your locksmith needs. Our experts know how to resolve your lock and key issues in a timely and efficient manner. Our mobile technicians are always on standby to perform all types of locksmith tasks on-site. We always use the highest quality material on each job, providing you a great peace of mind. We use some of the popular brand locks to make sure you and your house is completely safe. We deliver top quality services at highly competitive price. We understand that for every homeowner, home security is a top priority. And, they need assurance that their homes and lives are safe. That’s why, we always stand behind our work, so you can rest assured knowing that the best team is working on your home’s safety and security. Our locksmiths are available 24 hours a day and 7 days a week to offer quick response to your request. We care for our customers and ensure that they get the help as quickly as possible. Irrespective of your locksmith need, our professionals will reach you to fix the issue. No job is too big or too small for us, so feel free to contact us for any of your locksmith needs.